Welcome to the only place to catch up on the wearable tech news that didn’t quite make the cut on the site this week. But we’re still going to show it some love here. We’re talking about the stories that lost out to the news that the Apple AirPods 2 could track your health and the Fossil Sport is the second Wear smartwatch to be powered by Qualcomm’s next gen smartwatch chip. Also, there’s a pretty big Fitbit Versa Black Friday deal to look out when the deals action kicks off in a couple of weeks time. Remember, you can see all the headlines over in our news section. We’ve saved three more wearable tech news that featuring wearable tech heavyweights Apple and Samsung a potential newcomer in the shape of Dyson. Apple is set to make getting hold of its smartwatch from one of the biggest online retailers a whole lot easier. That’s according to the folks at Cnet and the news that Amazon has signed a deal with the Cupertino company to start selling more Apple products on the site worldwide. Those products will include iPhones, iPads and the Apple Watch, including the new Apple Watch Series 4. The new listings are set to start rolling out on Amazon in the US, UK, France, Germany, Italy, Spain, Japan and India. In the past Amazon has opted not to sell certain Apple products while many that are available are via third party sellers. This is a big deal for Apple as it’ll no doubt help the company shift even more devices. But it’s also a big win for Amazon, especially with Black Friday and Christmas on the horizon. Interested in grabbing a cheap Apple Watch? 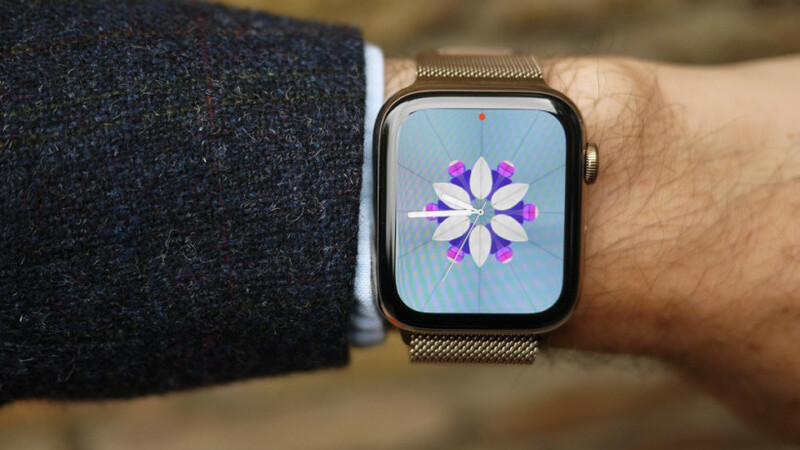 Check out our roundup of Apple Watch Black Friday deals to look out for. Samsung was the first wearable to get a proper Spotify app and now it’s added Tidal to the mix to offer more music streaming options from the wrist. The new Tidal Samsung app is available for Samsung’s fitness trackers and smartwatches, which includes the Gear Fit2, Gear Sport, Gear S3 and of course the Samsung Galaxy Watch. The official offering will let you browse music and podcasts and view playlists from your wearable. There’s voice support to help make it easier to search and the all important offline playlist support is there too when you want to listen to that exclusive new Jay Z album sans smartphone. To make the most of the app, you will need to be a paid up member of Tidal and if you sign up for the first time with a compatible Samsung wearable, you’ll get three months to try it out for free. Got a Samsung Galaxy Watch? Check out our top Galaxy Watch tips and tricks to get more from your new smartwatch. Dyson is of course best known for vacuum cleaners, hand dryers and pricey hairdryers, but it could have plans to add wearable air purifiers to its collection of tech. That’s according to Bloomberg who said it’s spoken with two people with knowledge of the project. The device, which will primarily work as an air purifier could well double as a pair of headphones too. The company has already filed patents for a ‘wearable air purifier’ this year to suggest it’s working on a wearable device. The idea of a wearable air purifier could have great appeal in heavily polluted cities across the world including major cities in Asia. Of course, Dyson like a lot of companies file hundreds of patents that never see the light of day. But the fact that sources close to the private project believe it is in the works, could suggest this is one Dyson idea that could become a reality. Looking for a new wearable to spend your money on? Check out our latest buying guides. Thanks for your visiting on this page Apple Watch Series 4 comes to Amazon and Dyson’s wearable air purifier, We hope this post can be a good reference for you and provide useful information for you :-).